Dawn adds in her own overlays to give an artsy look in an easy to use way! 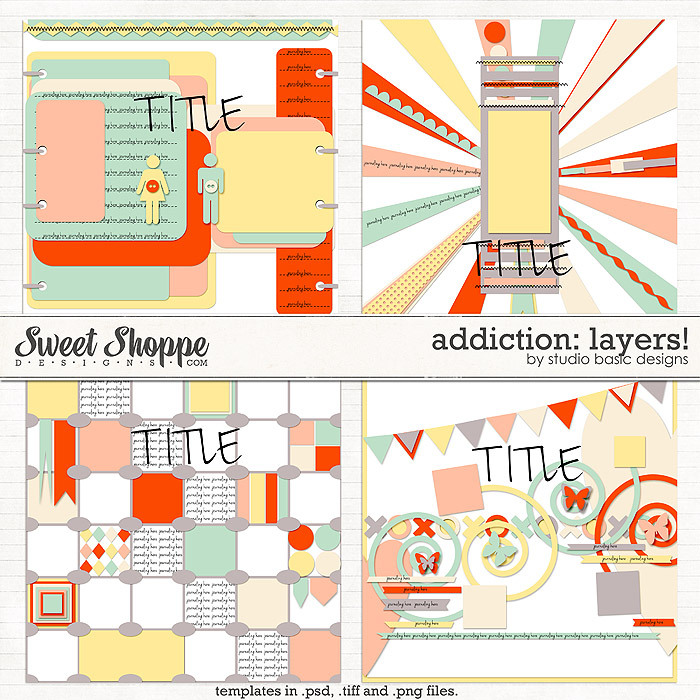 Julie has awesome multi-photo templates for perfect clusters! Lorelei has layered templates. Add in your photos to the appropriate place, add in a background..it’s that easy. But if you want to move things around, it’s easy to do as everything is in layers! TaylorMade blueprints are super simple and super effective in its punch. Use as is and just throw in your photos! Jimbo Jambo templates are so cool in their shapes and the look of the cutout layered paper. Rubia’s templates are crazy funky and gorgeous. We love the unique shapes, positioning, and layers! Eudora creates lush and amazing traditional layers. For a no fail traditional look, take a look at her shop! These art plates are unusual. Meant to be used as is with your colors and the layers you want or add to the backgrounds for a unique touch. These may help you in your search for new types of products. Templates are awesome in that it allows for creating faster pages, in unique ways, and can also teach you how to create in different ways. Maybe you’d like to try out something outside your box? Maybe you want to see how an artist designs a page. These templates can surely help you out. Get creative and enjoy!